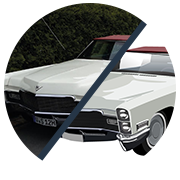 Vectorize any image through our smart online service! We offer professional hand-drawn vectorization and free auto-tracing software to get your image, logo or photo print-ready in a flash! Let professionals vectorize your image for an affordable price! 1. Upload your low quality image in .jpg, .bmp or other raster fotmats. 2. We redraw the images into vector format. 3. 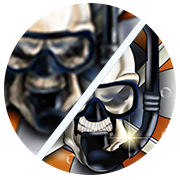 You will receive a preview image of the vectorization. 4. If you are satisfied with the preview, you make payment and download the vector files. We can vectorize any lower quality graphic using Adobe Illustrator, so you can use it in large size printed banners, posters, flyers etc. 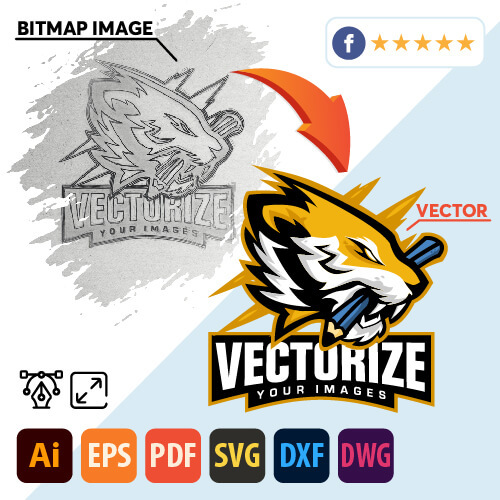 If you are satisfied with our work, you can receive your vectorized image in your choice of the most common vector formats (Ai, Eps, Pdf, Dwg, Svg). We can also clean up your illustration, delete backgrounds in photos and do some small changes, in order to provide you with perfectly digitalized vector images. Turn scanned images or photos taken by a smartphone into 100% scalable vector artwork. Need to make a vector illustration from a photo? We can vectorize any photo for you! Get rid of old blurry or small logos. Our service will create a sharp and print-ready logo for you. Make your product photos look awesome with a clean white background. We offer you precision hand-drawn vector conversion with maximum details, sharp lines, smooth shapes, and unlimited scaling for commercial use like printers and publishers. We can redraw your files: 12$ – simple design, 24$ – moderately difficult design and 39$ – complicated design. There is a 20% discount for orders of multiple vectorized images. We provide high-quality vectorized files within 2-24 hours. If you have a deadline, please include it in your order message. Payment is due after sending you the preview image of the finished item. If you need us to vectorize multiple images, you receive only one preview image before payment. 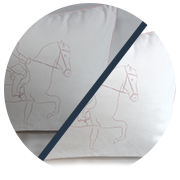 We have many years of experience with vector conversion and have worked with many logos and objects in vector format. You will be absolutely satisfied with our work! We offer, besides vectorization, additional vector-based graphic services like custom icon design, web design, After Effects videos, HTML and CSS coding, print design. You can download licensed and free-for-personal and commercial use stock resources from our website. We are skilled graphic designers with knowledge in graphics, web and print design. Feel free to ask us anything via our contact form. ”Our company has been using Vectorize Images consistently for almost a year now. We find them to be extremely responsive, quick and skillful. We use images they have worked on in ads (print and online) and on our website and we regularly get compliments on how great the images look. Thanks!